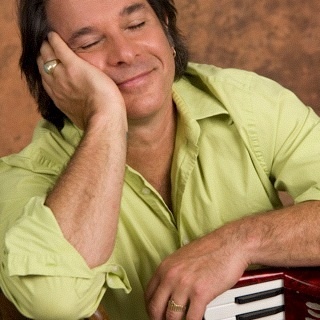 Adrian Martin is a performing musician who has appeared in venues across the nation. 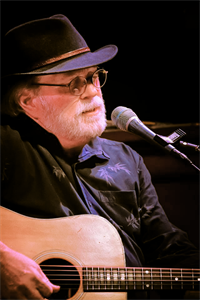 He's been featured with blues guitar hero Lonnie Mack and songwriting legend Warren Zevon. He holds a degree in classical guitar, studying with one of Maestro Andre Segovia's prize students. He is an accomplished musician. But he was never a "natural" musician. His love for music has inspired him to practice and persevere. The unique perspective of a professional musician who never "breezed through " offers the student an understanding guide. All students have difficulties. Adrian helps guide you through the struggles while we celebrate all the progress you've made. His teaching experience includes working in public and private schools as well as running his own studio for fifteen years in Ohio. His philosophy is simple and can be summed up in the two questions he asks most frequently in his private sessions. 1) What would inspire you? 2) How 'bout if we have some fun today? Anne Weiss is a nationally-touring folk and blues singer-songwriter whose home base is here in Portland. She has performed and/or recorded with Dar Williams, Taj Mahal, Shawn Colvin, and many other blues, gospel and contemporary folk artists. 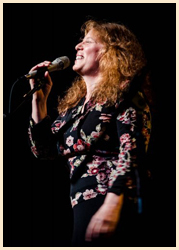 She has been teaching blues and folk piano, guitar and vocals (both privately and at national music workshops) for over 15 years, working with absolute beginners to advanced students. Anne's teaching style is student-centered, building on the strengths and interests of each individual student. 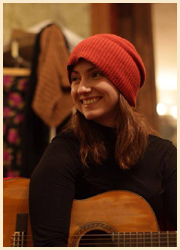 Some of the individual and group classes Anne has taught in the past are: Singing for the Vocally Challenged, Harmony Singing, Community Choir, How to Sing Blues & Gospel, Blues Guitar I & II, Guitar Tunings, Guitar Accompaniment for Folk Songs, Blues Piano for Beginners, and From Folk to Funk in 4 Easy Steps. Anne's approach is always patient, energetic and non-judgmental, earning her constant positive reviews from her students. I have been a member of the Artichoke Community since I retired in 2010. In July of 2016, I joined the Artichoke Community Music finance committee to help our community find a new home. In September 2016, I was elected to the Arichoke Board and in February 2017, I was elected to the role of Treasurer and Chief Operating Officer. I serve in these capacities as a volunteer. I have been responsible for the financing, management and construction activities at Artichoke’s new location on SE Powell Street since we opened the store on July 27, 2017. In our community, I also serve as the treasurer for my church and member of my church leadership council; the music director for Portland Tennis & Education, an after-school educational enrichment program for low-income families in St Johns where I volunteer teach beginning and intermediate guitar, and host an after school sing-along every week during the school year; and I volunteer as a mentor for the Portland chapter of Soldiers, Songs and Voices. Outside of my work with Artichoke, I am an avid tennis player.--I served on the Sportsmanship Committee of the Pacific Northwest Section of the United States Tennis Association from 2011 to 2016 -- and, I am the editor of the Oregon Tennis History Committee Facebook page and serve on the Board. I am fluent in French. I was born in Houston, Texas. I went to High School in Omaha, Nebraska. After graduating from college in Texas, I completed a Masters degree in economics at Claremont, California and have stayed on the west coast of the United States ever since I left Texas in 1974. I released my first solo album, "Sticky Notes and Warm Pancakes" in August 2018 available on CD Baby. Most of the inspiration for the song songs were born from cues from the songwriting classes I took from Matt Meighan at Artichoke. Brenna began her study of flamenco in 1997 with Martita Santiago (baile) and Jaime Woods (guitar) in Eugene, Oregon. 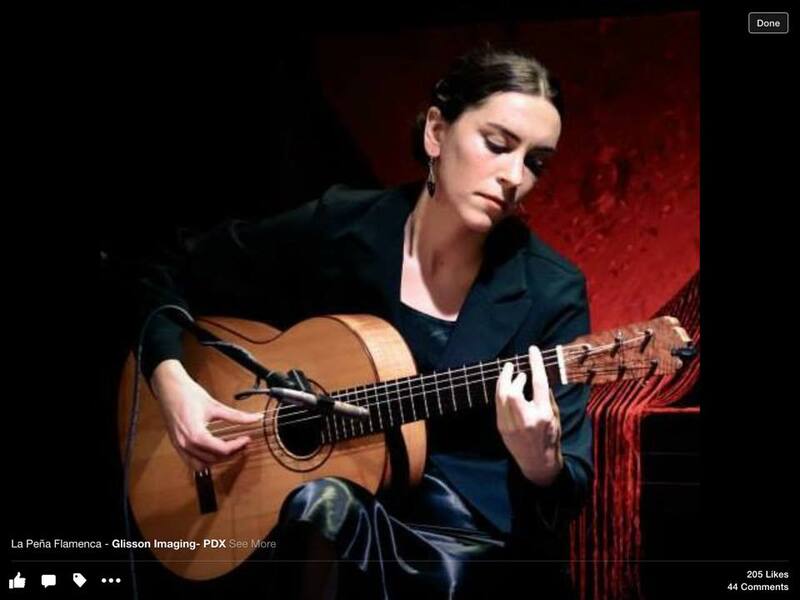 Since then she has devoted her life to the study of flamenco, moving to Spain in 2003-2004 to study with Chiqui de Jerez and Jose Luis Balao and in 2008-2009 to study under Juan and Saray de los Reyes. Brenna started performing in 2004 with Solo Flamenco while pursuing her B.A. in Cultural Anthropology from Reed College ('06). Brenna has performed and collaborated with Flamenco Callejero, El Cuadro Gallo, Madjaleo, Assa Flamenco, Tablao de Rosas. She is co-director and co-founder of Espacio Flamenco where teaches flamenco dance and guitar to children and adults and directs the professional performance company. She is a guest teacher at Center for Movement Arts where she teaches dance for kids ages 6 to 18. She performs regularly with the Espacio Flamenco company and Latin/Flamenco/Rumba quartet Seda. 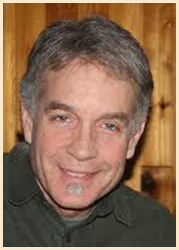 Brian Fergus is a lifetime musician and music educator. His first experiences with music were in the late 1960s and 1970s, which found him singing in choirs, taking piano lessons, and playing the sousaphone and tuba in band and orchestra, and bass guitar in various rock bands. While studying film at Penn State University, Brian discovered experimental music, which diverted his interest for the next thirty years. Brian earned his Masters Degree in Electronic Music and Recording Media from Mills College in Oakland, Ca. in 1986, then immediately took a job teaching Electronic Music at City College of San Francisco. He taught at the school from 1987 to 2014 to over 10,000 students over the course of his career. So much could be said here about what a fantastic, rewarding experience it was to teach at CCSF. In 2008, Brian encountered a fateful moment in his life.He had decided to get either a mandolin or ukulele to “play around with”. Well, he decided on the ukulele and he has never been the same! For the last ten years, Brian has shifted his musical focus to “all things ukulele”. In 2014, Brian stepped down from his job at CCSF to move to Portland, OR, with his wife Maggie and daughter Anais. He opened “Woodstock Ukulele Studio” in 2015, a venue for rehearsal, recording, and private and group instruction. Brian is a third level certification graduate of the James Hill Ukulele Initiative. Brian plays in two ensembles: “UkeFoote”, and “Fleffikon”. UkeFoote is a duo with Ubass virtuoso Borfus Wallaby; they do covers of mostly classic popular music. Fleffikon is also a (mostly) cover band, and features the aforementioned Borfus on Ubass and also Brian’s daughter Anais on electronics. In addition to ukulele, Brian plays Ubass, standard bass guitar, guitar, keyboards, Theremin, and other electronic instruments. The hammered dulcimer is one of the world's oldest musical instruments, dating back 800 years or more. It is found throughout the world, from China to the Middle East, Europe and North America. Many people, upon first hearing the hammered dulcimer, immediately fall in love with its sound and may eventually want to learn to play it. 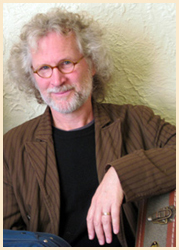 Carl Thor began playing hammered dulcimer in 1990 and has been performing, recording, and composing music since 1993. He currently plays dulcimer, piano, and/or mandolin with Cascade Crossing, Celtinalia, Hands4, and the Portland Megaband, as well as in other groupings for English country, contra, and Scandinavian dancing, as a soloist, and as an accompanist. 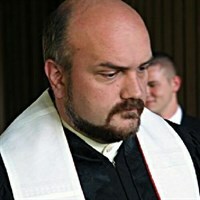 Carl has accompanied the Portland Symphonic Choir, the Aurora Chorus, the Portland Lesbian Choir, and several other choral groups in performance of music for choir and hammered dulcimer by Malcolm Dalghlish. Carl is recognized throughout the Pacific Northwest as a knowledgable, patient, and inspiring teacher. 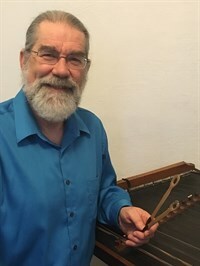 Over the last 25 years he has taught dulcimer in workshops at the Spring Hammered Dulcimer Rendezvous, the Chatter Creek dulcimer festival, and, prior to moving to the Pacific Northwest, the Prairie Dulcimer Club in Kansas City. He teaches workshops and private lessons at Artichoke Community Music in Portland, and group piano classes for Portland Community College (PCC). 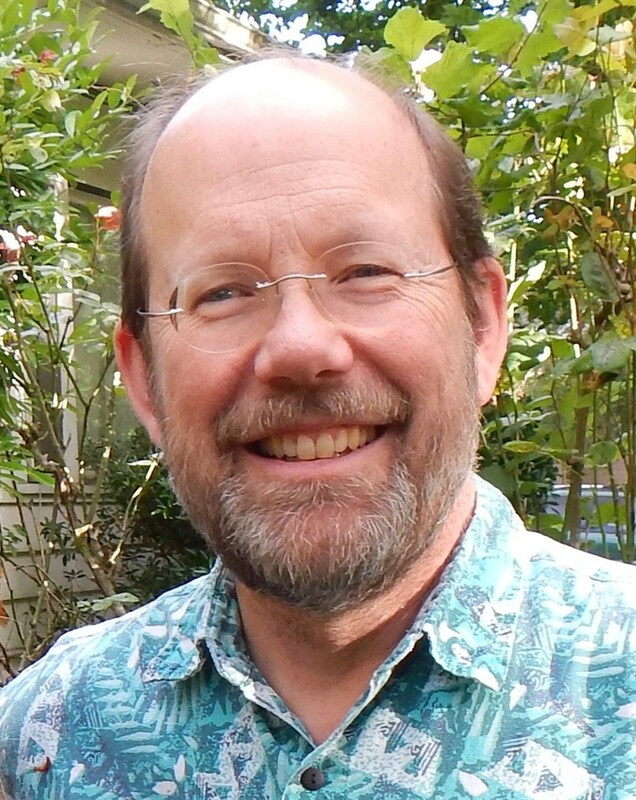 In addition to three years of course work in music theory and music technology at Clark College and PCC, he has studied dulcimer with Steve Schneider, Linda Lowe Thompson, and Ken Kolodner. Carl brings a sense of fun and adventure, as well as a lifetime of musical experience with piano, bands, and choirs to his playing and teaching of the hammered dulcimer and the piano. If you have never played before, he will help you to get started making music at your first lesson, then help you learn more advanced skills and music theory along the way in future lessons. If you already play, he’ll help you to improve your skills, knowledge, and musicality. Carl is very responsive to the needs of his students and enjoys helping each individual student learn in a way that fits with their particular interests and works well with their own learning style. To learn more about Carl and to hear some of his music, please visit his web site. 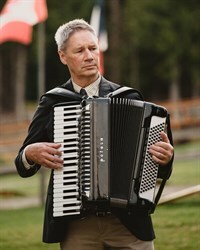 Dan Compton is a multi-instrumentalist performer and teacher with a deep knowledge of traditional folk music. He specializes in strings - guitar, fiddle, mandolin, octave mandolin, and tenor banjo - as well as C#/D Irish-style button accordion. Dan has a strong background in classical guitar. He earned a Master of Music in performance from Lewis and Clark in 1983 (working with guitarist Ian Mitchell), and performed in masterclasses with Christopher Parkening, Michael Lorimer, and José Thomas, among others. Over the years, Dan has explored a wide range of guitar styles, from progressive rock, through ragtime, to traditional Irish dance music. Adept at both fingerstyle and flatpicking, Dan is also well versed in alternate tunings, notably DADGAD. He can guide students through the intricate solo styles of John Renbourn and Pierre Bensusan, the roots-based music of Mississippi John Hurt and the Carter Family, as well as the inventive backup playing of Micheál &?Oacute; Domhnaill and Gilles LeBigot. Dan stresses understanding technique, harmony, scales and modes, and other tools necessary to be a complete guitarist. But above all, he teaches students how to use their ears: to hear and understand what's going on in the music and to translate that to the fingerboard. Dan is also an experienced Irish-style fiddle player. His music is especially influenced by players and mentors like Kevin Burke, Matt Cranitch, and Denis Murphy. Dan is adept at other fiddle styles as well, notably Appalachian, Quebecois, and Breton. He studied violin technique with Kathryn Gray and Tina Alexander. In teaching the fiddle, Dan emphasizes learning by ear, helping students to hear the structures and phrasing in traditional music. His students also explore in detail the ornamentation and bowing used in different styles, as well as solid and relaxed bowing technique, tone production, and intonation. Dan takes a similar approach in teaching the mandolin, octave mandolin, and tenor banjo - with a special emphasis on plectrum technique and tone production, rhythm, and ornamentation. In addition to private lessons, Dan teaches the popular "Irish Session Class", which offers a unique setting for learning Irish traditional tunes on all traditional instruments, as well as the listening skills essential to ensemble playing. Dan currently performs with fiddle player Lisa Ornstein and box player Johnny Connolly, button accordionist Fran Slefer, flute-and-banjo player Mark Roberts, Scottish fiddler Jamie Laval, the poly-folk group Sprig, and the dance bands Jigsaw and The BFD. 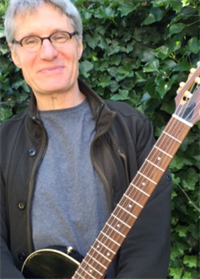 His most recent recordings include The High Caul Cap (with Mark Roberts), Session at the Cottage (with Fran Slefer), and The Magic Paintbrush (with Lisa Ornstein). Hello. I'm Ezza Rose, a Portland-based musician. Over the past ten years, I've used music as a vehicle to see the world and experience some beautiful stages. Music has become not just an occupation, but a way of of living. For me, teaching is an opportunity to share with others the joy that this amazing art form has brought me. My classes, regardless of instrument, will focus on each student finding their unique voice. I believe in using good technique as a guideline and letting the rest build naturally. I'm excited to help you discover how music fits into your life. If you'd like to learn more about the music I make, come visit me at my website. Jack is Artichoke's luthier, curator of the Artichoke History Archive and our resident ethnomusicologist! He is a retired minister in the United Methodist Church and a graduate of Berea College, the home of the Loyal Jones Appalachian Center-preserving the history, music and culture of the Appalachian region. Jack is connecting us with the roots of Artichoke's rich history in the folk music community for almost 50 years. He is now building instruments based on the original design of mountain dulcimers that our founder Judith Cook Tucker built and offered for sale when she opened the first store in 1973. Like many modern traditional players, I started out doing something other than music, namely theoretical chemistry and physics (phD 1969, Univ of Illinois). This led to Southern California in the mid-70's where I encountered a small but intensely dedicated group of string band music enthusiasts. I was entranced and within the space of several years acquired a banjo, fiddle and dulcimer to go along with the guitar I had owned since my teens. When the budget was trimmed in 1977 and I got laid off, I never looked back. I am pretty much self-taught, and that means my technique is not always "correct" in a classical sense. Still, having a penchant for analysis, I soon discovered that if you read music, either tablature or notes, you can also write it. This led to teaching for a local music store and ultimately some 1200 arrangements and several years later to a modest mail-order business and numerous published tablatures. I especially enjoyed group classes where I could combine some individual tutoring with group teaching as a "performance" art. I am perhaps most proud of my "folk ensemble" class that introduced beginning and intermediate players to the joys of Old-Time String Band playing. I've taught since 1977 in a myriad of settings for individual and groups for instrumental arrangements in tablature for flatpick and fingerpicking guitar, clawhammer and 3-finger banjo, strum and fingerpicking mountain dulcimer, mandolin and fiddle. Fiddle arrangements are also available in standard notation for use on any instrument. I've published scores of tablature arrangements in Banjo Newsletter (BNL) and Pickin' Magazine and recorded with Truman Price "Songs & Tunes of the Oregon Trail". As a solo performer, I focus on traditional songs and tunes from the Appalachian mountains, sung and played on the 5-String Banjo, Mountain Dulcimer, Fiddle and Guitar. Material includes lively dance tunes, novelty songs from the 20's and 30's, ballads and songs from a variety of sources with a special emphasis on Carter Family songs. Newer songs and an occasional original, all crafted in the traditional mold, are mixed in for good measure. Jason is the lead teacher for the Artichoke's education outreach program with Youth Progress Association's Alternative High School. He offers a balanced menu of Rock & Pop, Americana, Reggae, Afrobeat, Soul, Blues, Funk & Groove, flatpicking, improvisation, & beyond. Lessons are primarily focused on breaking down & understanding the ingredients of a chosen song, recommendations on technique, & tips on approaching the desired sound for performance. He provides lessons to students with a range of musical backgrounds, from absolute beginners to intermediate skill levels, including some advanced players. Playing & performing an eclectic variety of guitar music for over 25 years he can confidently say, that he's still asking questions about it. Although thankfully many answers to these questions have been unlocked for him by his musical mentors, he has found that having discovered so many answers on his own has allowed him to share his knowledge & experience with others effectively. His aim is to guide students towards discovery & away from pitfalls along the path to reaching their musical goals. Let him help you explore the essential skills & techniques to play the music you love. Jenna Dalton is a healer, visionary, teacher, artist, mother and musician. She has joyfully led retreats, camps, choirs, conferences, lessons, private healing sessions and classes for all ages for over 15 years. Born on a spiritual community in Nevada, her family moved to Portland Oregon when she was 14. She received her Bachelor's Degree in Alternative Education with a Double Minor in Music and Skills in Spiritual Living from Prescott College and went on to receive her Master's in Education through a full time Waldorf Teacher training program. She has recorded three albums of original music, climbed the tallest peak in Nevada and brain tanned several deer hides with her bare hands! Her real training has been in mothering twins and teaching music to hundreds of students. She taught in Waldorf schools for over ten years and currently facilitates workshops, offers music lessons, healing sessions, and plays, performs and records music. For more information check out her web site. John Richter is a retired teacher who taught at the Sunnyside Environmental School and led middle schoolers in song several times a week as well as the leading the Song Circle once a month at Artichoke. He is a singer-songwriter having taken several songwriting classes with Matt Meighan. His main instruments are guitar, banjo, saw and harmonica. His latest love is the harmonica and he is excited about teaching people how to play beginning folk and blues harmonica. Grand prize winners for "songs that make a difference" (Music2Life 2006), raconteurs, Kate Power & Steve Einhorn build community with harmony, guitars, banjo and two mighty little ukuleles. 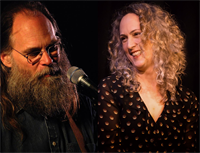 Legendary in the Pacific northwest for community building and social action through music, Kate & Steve tour in concert full time with fine folk and original music described as "a rare elixir and good medicine, brightening even the darkest of hearts." 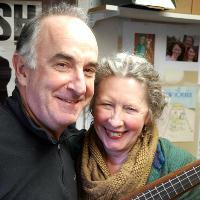 Special guests of Garrison Keillor on "A Prairie Home Companion" and lauded by Pete Seeger for their beautiful music, Kate and Steve are singing their way across America with a soul struck marriage of musicianship, humor and harmony. By day, Kate & Steve teach their revolutionary "Ukalaliens Workshop" to the uninitiated, converting non-musicians to the joys of making music with ukes by the thousands across the country. The "Ukalaliens Songbook & CD", released October 1, 2009, is garnering praise for its artistic, whimsical and inclusive approach as it brings new players into the fold. Capturing winning endorsements from teachers, publishers and music communities nationwide, Kate & Steve are delivering workshops and converting Ukalaliens wherever their concert performances lead them. 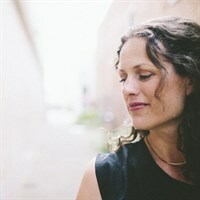 Leela Grace is a nationally-known singer, songwriter, multi-instrumentalist, recording artist, percussive dancer and teacher of music and dance originally from Missouri. 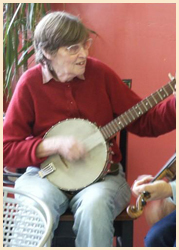 She spent a beautiful 8 years in Portland, teaching popular banjo, by-ear harmony singing, and Appalachian clogging classes. In 2014, Leela embarked on the new adventure of motherhood when her daughter was born. In late 2015, Leela and her family moved to northern Vermont following a job opportunity for her husband. 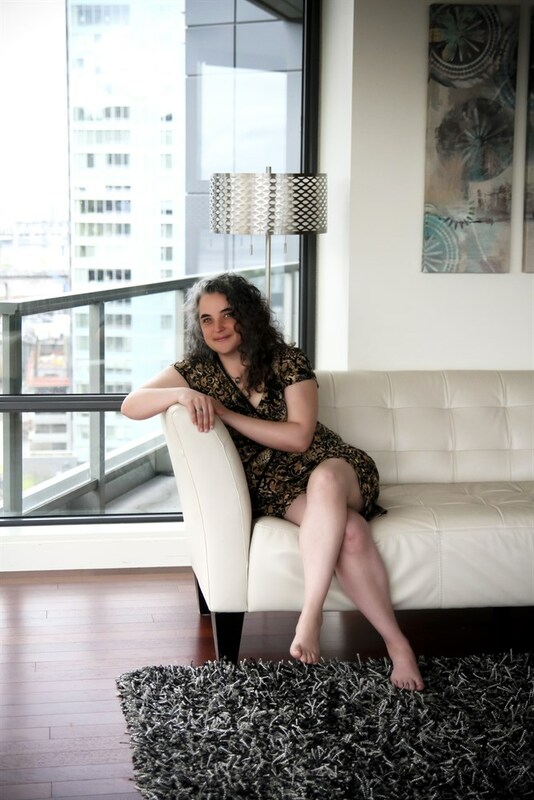 After many "adventures" in the snowy northern lands of the east, she returned to the Pacific Northwest in the fall of 2016, inspired and ready to resume teaching and performing in her home community. Leela has performed and taught nationally for over 25 years, first with her family, and now as a solo musician and with her sister Ellie Grace (as Leela and Ellie Grace). She has earned critical and audience praise for the "great depth and insight" of her original songs, which have been featured on NPR's All Songs Considered and chosen for inclusion on a "Best of Portland Acoustic Music" compilation CD. 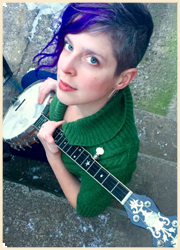 She picked up the banjo as a young teen and has developed her own exceptional clawhammer banjo style, marked by clear, bright melodies and powerful rhythm. Leela is also recognized as a dynamic percussive dancer whose style draws most strongly from Appalachian clogging, but also incorporates Irish step dance, rhythm tap, body percussion, and much more. Max Tucker is a drummer and percussionist who moved to Portland from Brooklyn, NY in 2018 -- where he had been based since 2000. After receiving a BFA in Jazz Performance from New School University Max went on to play with many bands; most notably (electro-pop act) Francis and the Lights, (Afrobeat collective) Asiko and (psych-rock band) Dinowalrus. Tucker has played drums on 15 albums and toured/opened for artists such as Bonnie Raitt, David Byrne, MGMT and The Charlatans. Early on in his drumming career Max discovered his love for teaching when working as a music counselor one summer at Camp Killooleet in Vermont. His goal in teaching is to give each student the tools and inspiration to discover what kind of drummer they want to be. Megan enjoys working with students of all ages. She stands by the idea that older students can successfully learn any instrument later in life and have a very fulfilling musical experience. 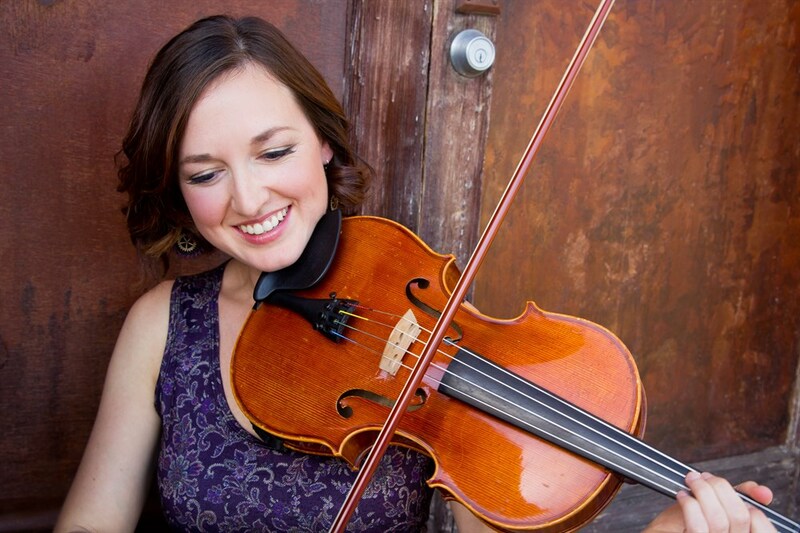 She teaches private lessons in violin, fiddle, viola and composition as well as group violin classes. Megan began playing violin in 1994 and immediately fell in love with it. She has backgrounds in classical, bluegrass, folk, country, and rock. Megan has toured the country with folk rock bands and has been a studio session player in both Colorado and Oregon. She currently plays music with a wide variety of other Portland-based musicians. 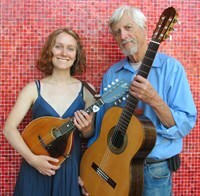 Olivia Duffy and Rene Berblinger play an intricate combination of folk, world and original music. Their partnership started as teacher and student and gradually transitioned into performance partners. Olivia plays mandolin and violin while Rene plays guitar, mandolin and banjo. Rene draws on a deep background in classical guitar to bring a special finesse that blends the line between melody and accompaniment. Olivia plays with several bands here in Portland, you can find her playing, teaching or jamming around town. They play many genres, spanning fiddle tunes from Appalachia all the way to choro music from Brazil. They're excited to share their favorite tunes with you! I have over 30 years teaching and performing experience. My goals are to provide a solid background in music fundamentals, theory and technique. Even more, I aim to enable the students to pursue their OWN musical tastes and interests. Studied Musicology at Goddard College, Vermont. Took Classical Guitar studies with Sophocles Papas, Carlos Barbosa-Lima, David Perry, Bryan Johanson. Master classes with Michael Lorimer and Jose Thomas. Studied jazz, music theory and arranging with Frank Mullen. Mandolinist, Radim Zenkl has been a friend and mentor for years, enabling me to explore the mandolin well beyond the basics and into the beautiful soundscape of Eastern European and Balkan music as well as classical and traditional Irish & American music. Playing 5-string Banjo has been a love of many years which included visits to the southern Appalachians to listen to and learn from the old players. Beginning in the 1950's I participated in weekly musical gatherings in Baltimore, MD, attended by Mike Seeger, Tom Paley, John Cohen of the New Lost City Rambers, Peter Streett, old-time clawhammer afficionado, as well as many others who were playing and collecting traditional mountain music. I teach frailing, clawhammer and melodic 5-string banjo styles, as well as beginning and intermediate bluegrass. 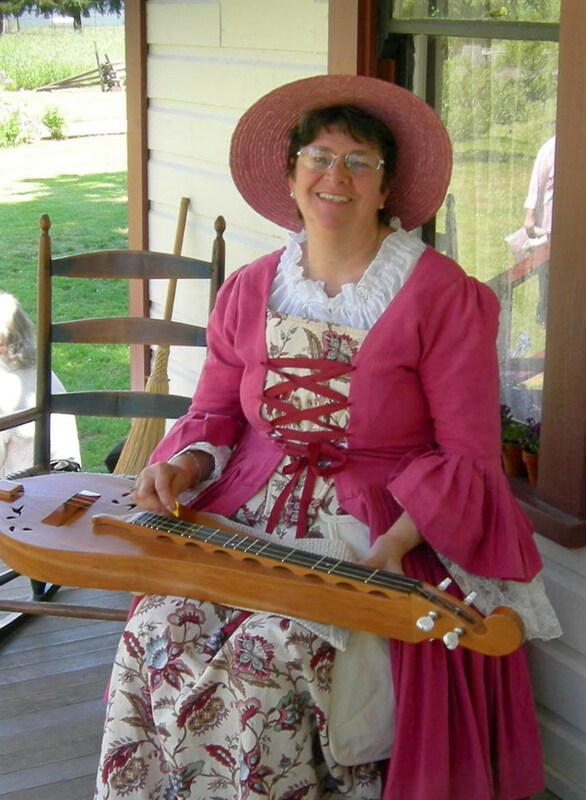 Music Bio: I love the mountain dulcimer! Although beginning my music experience as a vocalist many years ago, I become enamored with the mountain dulcimer while living in Ohio, where dulcimers abound. After moving to Oregon in 2005 I found no dulcimer players, so began teaching at Artichoke Music and through community schools in 2006. Since then dozens of folks in the area are enjoying my favorite instrument! Several other “old time” instruments have become part of my life, including banjo, hammered dulcimer, autoharp, as well as ukulele and piano, but the dulcimer reigns! As a certified music practitioner I began playing for hospice patients while in Ohio 14 years ago and have continued to this day here in Oregon. For this activity I find the mountain dulcimer the perfect bedside instrument. I studied music at Sinclair College in Dayton, OH, and incorporate that knowledge in my teaching. Steve Cheseborough re-creates the blues, hokum and ragtime of the 1920s-30s, interspersing the songs with stories, history and humor. The author of Blues Traveling: the Holy Sites of Delta Blues and one of the stars of Last of the Mississippi Jukes, Cheseborough has the uncanny ability to turn any setting into a 1925 Mississippi jook joint. A cult figure, he has played at festivals, riverboats, jook joints, breweries and barbecues throughout the Western world. In his teaching, he works from the original recordings and tries to get his students to feel the groove with their hands and voices. Tracy Kim is a Portland Oregon native. He started playing the guitar at the age of 8, piano at 10, and drums and bass at 12. 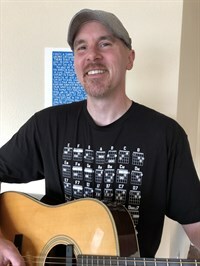 Tracy then studied music composition and Jazz guitar at the University of Oregon where he received his degree in music. He has composed music for film(feature and short), commercials, multi-media, and also modern dance. Tracy is also a highly sought after guitar instructor and clinician. He has 20+ years of teaching experience at colleges and privately. While still an undergraduate at U of O, he was asked to teach as an adjunct instructor. After teaching at U of O, he taught at Linfield College and at the Northwest Academy. Tracy is proud to say many of his students have gone on to become professional musicians, recording artists, and/or music educators. Most recently, Tracy has been writing, recording, producing, and performing music with different artists and in various genres. From his own power pop/rock songs with his band, The Janglies to co-writing and producing radio friendly country/pop songs by the Muriel Stanton Band. Tracy is honored to have worked with/instructed many of Portland's finest songwriters(such as McKinley, Pete Krebs, Ben Darwish, Adam Zwig, to name few). Usually playing either his trusty, twangy Fender Telecaster or his old Gibson archtop jazz guitar. In Portland, Tracy might be most known as a gypsy swing guitarist enthusiast and instructor. He can be caught performing gypsy swing music with his own trio or with Portland's favorite "Django" band, The Kung Pao Chickens. The KPC's have had a weekly Monday night gig at the Laurelthirst Pub for the last 14 years! Tracy is currently available for private music lessons for all styles and all ages ranging from: guitar(acoustic and electric), piano, bass, ukulele, mandolin, drums, melodica, songwriting, composition, and theory. Also, he conducts workshops in the style of Django Reinhardt; swing jazz ukulele; songwriting, and sight reading. He also occasionally does his own "school of rock", helping coach young musicians in ensemble performance, songwriting, and arranging. Soldier Songs and Voices’ Coaches are a group of established songwriters and musicians, about half of whom are veterans. We have played a wide variety of styles and genres in our musical careers and have a broad range of skills to share. Our rotating Coach schedule serves to expose our vet participants to different perspectives and approaches each week and we are committed to the principle that everyone takes something new home from each session. Max and Jason are joining forces to offer workshops about ensemble playing. Bring a sound or work with them on adding more dimension to your work or to playing your favorite songs or styles. Max Tucker is a drummer and percussionist who moved to Portland from Brooklyn, NY in 2018 -- where he had been based since 2000. After receiving a BFA in Jazz Performance from New School University Max went on to play with many bands; most notably (electro-pop act) Francis and the Lights, (Afrobeat collective) Asiko and (psych-rock band) Dinowalrus. Tucker has played drums on 15 albums and toured/opened for artists such as Bonnie Raitt, David Byrne, MGMT and The Charlatans. Early on in his drumming career Max discovered his love for teaching when working as a music counselor one summer at Camp Killooleet in Vermont. His goal in teaching is to give each student the tools and inspiration to discover what kind of drummer they want to be. Jason has been the lead teacher for the Artichoke's education outreach program with Youth Progress Association's Alternative High School. He offers a balanced menu of Rock & Pop, Americana, Reggae, Afrobeat, Soul, Blues, Funk & Groove, flatpicking, improvisation, & beyond. Lessons are primarily focused on breaking down & understanding the ingredients of a chosen song, recommendations on technique, & tips on approaching the desired sound for performance. 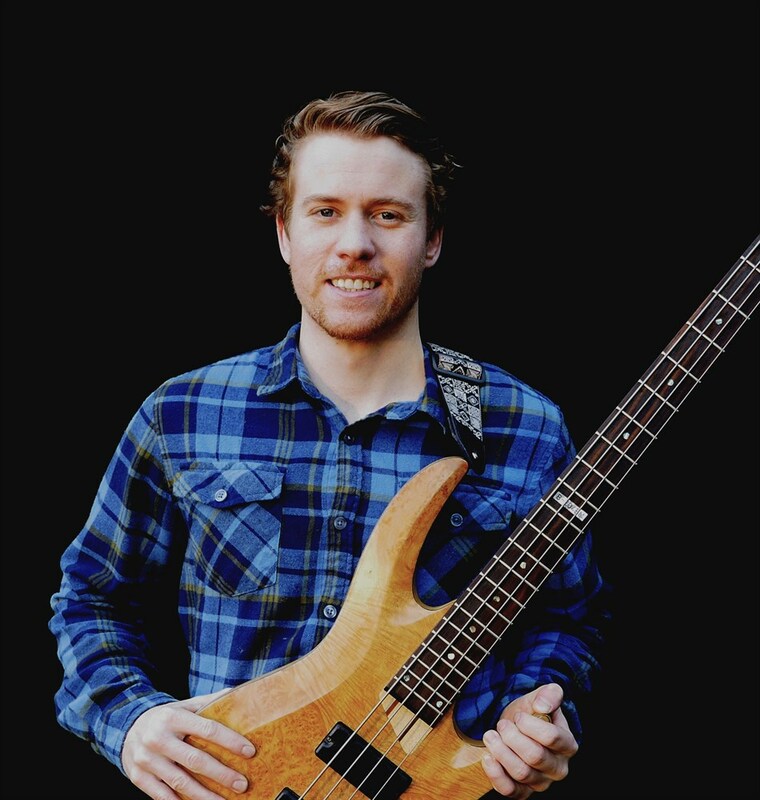 He provides lessons to students with a range of musical backgrounds, from absolute beginners to intermediate skill levels, including some advanced players. Both artists have been playing & performing an eclectic variety of guitar music for over 25 years. Their aim is to guide students towards discovery and away from pitfalls along the path to reaching their musical goals. Let them help you explore the essential skills and techniques to play the music you love. 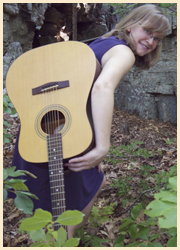 Avery Hill specializes in working with beginning musicians of all ages on guitar, banjo, ukulele and piano. She believes beginners learn best within the context of what they want to learn, and works with each of her students to build necessary skills and achieve personal goals. 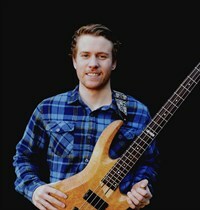 Austin Glenn Whittle is a performing musician, studio musician, instructor, and current student at Berklee College of Music. He has dedicated his life to the guitar (10 years) and bass guitar (14 years), and teaching the artistry of both instruments. From young children to teenagers, to middle aged and elders, Austin has the ability to connect with any student. Humble, optimistic, and genuine are a couple characteristics he beholds, and very compassionate for music. He covers education in blues, rock, country, folk, reggae, and many other genres. He encourages and motivates students when teaching guitar, and provides a clear understanding on important concepts. His number one priority is getting the student encouraged and revealing their potential when it comes to playing guitar. The student will be enlightened and confident in their playing. "Learning guitar should always be fun and interesting, no matter what. In my curriculum, I provide fun, comprehensive, and simple exercises that develop your guitar craftsmanship, listening skills, musicianship, and knowledge. I immediately get the student playing guitar, and save the concepts and theories for later, or when applicable. There is no need to focus on complex material that is unnecessary in the early stages, so let's play guitar!" Chase Garber is a Celtic harpist, singer/songwriter and multi-instrumentalist based in Portland, OR. Since moving back to the area in early 2018, he has been finishing up an album of original songs written largely on the harp and performing locally. His songs, often described as "transporting" and "otherworldly", are dense, emotional, visually rich and deeply imaginative, employing musical and lyrical forms that create a genre all their own. Chase is currently accepting beginning Celtic harp students at his home studio in outer SE Portland and at Artichoke music. He takes a holistic approach to teaching harp, focusing on technique, ear-training, sight-reading, music theory and arrangement, musical expression, improvisation, collaboration, and performance. He teaches a relaxed version of classical Salzedo technique as pioneered by Portland harpist Elizabeth Nicholson, in addition to incorporating elements of classical Grandjany and Irish harp technique. This prepares the student for a variety of playing situations and styles. Additionally, Chase feels that the harp is a superior songwriting instrument and is excited to support others in arranging and writing for this unique and versatile instrument. To hear examples of his harp playing and songwriting you can listen at Chase Garber - Bandcamp or his website chase garber.com. Multi-instrumentalist Mark Bosnian, vocal coach and inductee into the Oregon Music Hall of Fame, leads the group in singing songs of many genres: Motown, Pop, Rock, Folk, Soul, Blues, Country, Broadway, Standards, and more. Sing the melody, sing a harmony, sing whatever works for you. Adults and kids are welcome–if you want to sing, please come and add your voice. Music is a vehicle for expression. The more you know, the more clearly you can communicate what is inside. With an organized and patient approach, tailored to your desires and ability, I can help you express what is inside you. I have 40+ years of playing experience, as well as 30+ years experience teaching private lessons. I have studied at the Crane School of Music (State University of New York, Potsdam), Mt. Hood Community College and Portland State University. For the past 24 years I have also performed extensively as a solo artist and with a band. My debut CD bossamba, was released in 2000 to critical acclaim. I have taught guitar to adults in my home studio and at Artichoke Music since 1985. In 2003, I also became an instructor at the Multnomah Arts Center, and have enjoyed teaching children and mentoring young talent there. I also created a program called “Fun with Brazilian Music: Brazilian Rhythms.” This program is the first in a series that I am creating under the umbrella name “SoundZ Fun!” SoundZ Fun! Is a series of all-age, interactive events that inspire learning and fun through music and sound. I welcome dedicated students who are passionate about expressing themselves through music. I look forward to helping you gain the skills you need to realize your goals while having a fun, positive experience. 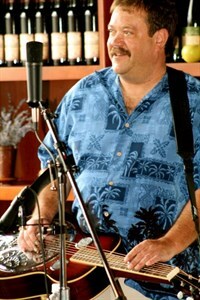 Tim Dawdy is a Northwest Dobro favorite. You will find him playing Western Swing on Friday night and Bluegrass on Saturday Afternoon. Tim has formally studied Dobro with Michele Witcher, Greg Booth, Sally Van Meter, Phil Leadbetter, Orville Johnson and the late Maestro Stacy Phillips. 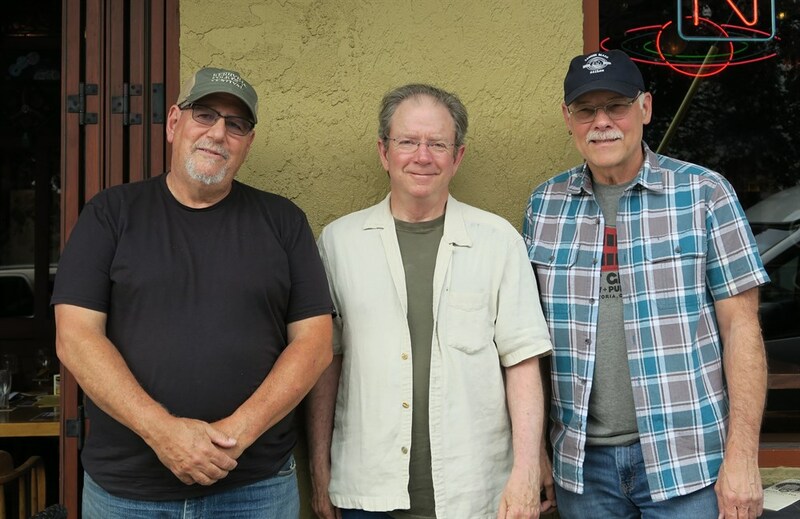 Tim trained in steel guitar with Bobby Black, Joe Wright and Larry Behm. He teaches basic and intermediate Dobro at Artichoke Music in Portland and his modern music studio in Ridgefield Washington. Most styles of music are taught, including Western Swing, Bluegrass and Jazz Standards. Private and group lessons are available. Tim’s Teaching philosophy is simple. Teach the student a solid foundation of basic Dobro/Steel skills that will allow them to rapidly progress and have fun. His goal is to get you playing music with others quickly. Oregon Bluegrass Association Camp Dobro Workshop Instructor 2016, 2017. WAMA Bluegrass Festival Dobro Workshop Instructor 2017. Sacajawea Bluegrass Festival Dobro Workshop Instructor 2018. Washington Western Swing Hall of Fame Gathering Dobro & Steel Guitar Workshop 2018. (Featured in Masters of the Steel Guitar Performance). 2000+ hours of college level classroom in adult teaching. Experienced elementary school substitute teacher. 15 years as Training Chief of a large Suburban Fire District. Mick Doherty teaches private lessons and festival workshops for hammer dulcimer players from coast to coast. He also directs the annual Hammer Dulcimer Rendezvous, a festival for HD players and teachers, which takes place over four days each spring in Sandy, Oregon. 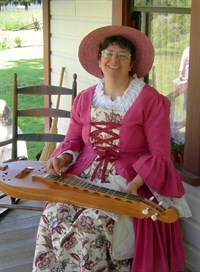 The hammer dulcimer is a wonderful instrument for exploring a great variety of music. Mick has played for many square, contra and other folk dances over the years and enjoys playing American, Irish, French Canadian and other dance music, and is happy to work with students interested in dance music from various traditions, including folk music from south of the border. Pop and jazz tunes often sit well on the hammer dulcimer, once we get them into a good key. The modern “standard” American hammer dulcimer is tuned to play in the keys most often employed in American and northern European folk tradtions. The “flat” keys common to jazz horns are not “native” to the HD, but the melodies often travel with aplomb, once transposed. Mick is happy to work with beginning musicians as well as experienced HD players looking to polish up their dulcimer music. Beginners can get started right away developing their stick control whilst learning the layout with some fun melodies and chord progressions. Mick’s fundamental goal for all HD players is to address the challenge of learning to make a percussive instrument sing! Having started out as a guitarist, Mick enjoys helping players accomplished on other instruments get comfortable with the unusual yet logical tuning scheme of the hammer dulcimer. Aside from his hammer dulcimer work, Mick is also a vocalist and performer on guitars, string bass, accordions, banjo, percussion and various sound effects devices. Mick has performed for in ensemble and as a solo artist from sidewalks to concert stages in Anglo and Latin America, Europe, Japan and North Korea (really!) He has been a founding member of several local bands, including the Portlanders, the Trail Band, the Cascadia Folk Quartet, Spud and the Snakeskinners, and Folk City. 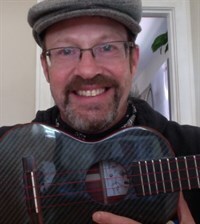 Mick is a co-founder of the award winning Oregon Shadow Theatre, where he composes music, and performs as musician, storyteller, voice actor and sound effects specialist. He has composed music for film, theater and video projects, has taught songwriting workshops, and of course, many a hammer dulcimer workshop. "Armed with banjo, guitar, and a dream, Southern-fried troubadour, Austin Quattlebaum, spreads around his wildly swampy blues and backwoods folk." Quattlebaum, Southern Gent and Banjo Slinger, brings more to the table than just music. With his infectious smile and weird antics, he brings people together; encouraging camaraderie and building community. The singer-songwriter, currently based in Portland, Oregon, tours the country picking and strumming indie-folk songs that are spacious and emotive, and have an implicit groove. When he plays, you can hear the reverberations of the rustic mountains clashing with the breezy ocean. Like a willowy heron, Quattlebaum struts around on stage as the music moves through him, evoking a range of emotions from laughter to longing. He shares tender moments, where one can almost hear his banjo breathing, then erupts into raucous peaks of unbridled energy—his captivating solo performances take his audiences on a ride. Quattlebaum’s playing style is rooted in traditional southern bluegrass, but his stage presence and improvisational nature have morphed his sound into something all his own. He’s developed his show to be a more complete live experience, switching instruments around on stage from banjo to cello banjo to guitar, and incorporating comedy and funny stories in between songs. After college in Asheville, NC, Quattlebaum hit the road, rambling the countryside in his Volkswagen camper, armed with his banjo, eventually landing in the Sierra foothills near South Lake Tahoe. There, he recorded his first solo album, 2013’s The Ghost Tangled in the Oaks, which has prominent country and bluegrass elements in it. His childhood home of Savannah, GA shines through in the swampy tones and sleepy southern lilt of his banjo. After its release in 2014, Quattlebaum started the Portland band, Crow and the Canyon, which they achieved many accolades, notoriety, and big festival plays in their short history. In 2018 they were selected as Cultural Ambassadors for the U.S. State Department’s American Music Abroad Program where they traveled across Africa teaching at music universities, hosting workshops, entertaining diplomats and collaborating with African bands. Quattlebaum released his follow-up album, EP Vol. 1, in October 2018. The bluegrass and country influences are softly buried underneath the surreal and lonesome, almost vintage folk sounds. Played with sparse instrumentation and a hypnotic air, this new album holds space for his gritty and raw vocals. Fresh on the heels of his new release and 100+ shows played in 2018, he shows no signs of slowing down. Whether taking the stage with one of his projects or all on his own, Quattlebaum isn't shy and always brings a good time. I took up the 5-string banjo exactly 33 years after this photo was taken. Little did I know that my dreams of being the next Earl Scruggs were to be dashed by the humble ukulele. At age 43 after ten years of trying to memorize banjo tab and then play it back, my wife’s grandmother gave me a 70-year-old Columbia Hawaiian soprano ukulele that had been in her closet for more than 50 years. To please grandma, I took the uke and bought an instruction book. But I was tired of memorizing music out of books! That approach did not turn me into a musician on the banjo and I doubted that I would have a different outcome on the ukulele. So I just practiced chord progressions and inversions and listening to the sounds I was making. I found I was developing an emotional relationship with the chords I was playing and realized why songwriters choose specific chords to garner a certain emotional response from the listener. My mission then was to teach other adult beginners the fundamentals of music from an ear-based approach, Play Ukulele By Ear. In addition to hundreds of workshops presented in music stores and for ukulele clubs worldwide I’ve also appeared at the festivals, retreats, and conventions listed below. I’m also a Contributing Editor to Ukulele. 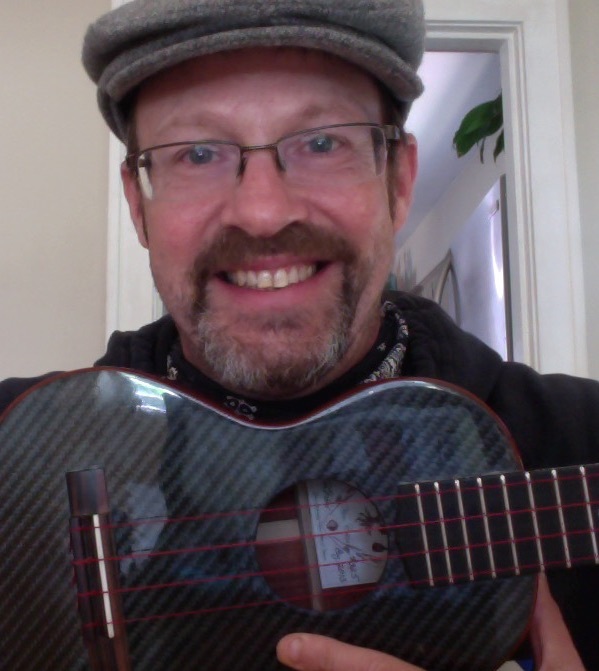 I currently reside in Albuquerque, New Mexico, USA, where I teach ukulele lessons at the Albuquerque Institute of Music and Music on the Westside. 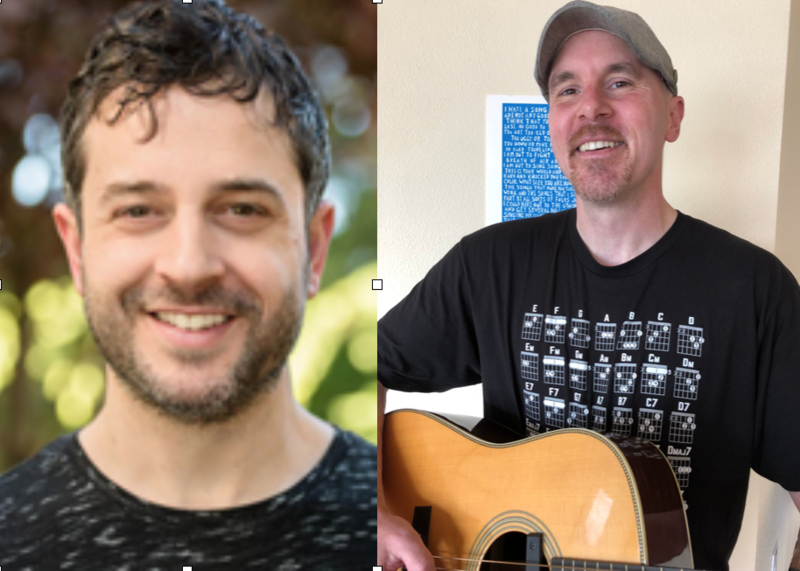 Singer/songwriters and performing artists Matt Meighan and Kelly Brightwell are joining forces to create a cooperative songwrting workshop that promises to inspire. Matt Meighan has taught songwriting classes at Artichoke since 2008. He is co-founder and host of the Hidden River Songwriting Camp each July, and of an annual Donegal, Ireland Songwriting Retreat. Matt hosts Artichoke's Songwriter Roundup on alternate Thursdays. Matt's teaching approach is to create an environment where students' own wisdom is encouraged to emerge. "The goal is not the passing along of the teacher's knowledge, nor the passing along of anyone's knowledge: the course sessions are meant to provide occasions for individual insights and encouragement." - poet William Stafford. Matt earned an MFA in writing and poetics at the Jack Kerouac School of Disembodied Poetics at Naropa Institute in Boulder. Kelly Brightwell plays and writes songs that one can call shimmering northwest Americana -- rain-soaked folk with introspective lyrics and radiant vocals. Think Neko Case meets Patty Griffin, or Jonatha Brooke with a dash of Over the Rhine. She has recorded to solo albums-her debut album "Wait for Your Spring" and "Hearts and Home," both are products of years of soul-searching and personal growth. Since her latest album's release, a group of seasoned players have joined Kelly to support her live performances. Kelly often performs her work in solo or duo format for listening rooms and house concerts. She is focused on playing locally and tours in the Pacific Northwest. Her songs have received critical acclaim at contests hosted by the Tucson Folk Festival, the Intermountain Acoustic Music Association, Rocky Mountain Folks Festival and most recently the Just Plain Folks Music Awards. Kelly has released two EPs with friend and co-writer Woody Moran under the moniker Radio Stranger. She is currently working toward her next full length solo record, due out in 2018. Gary knows recording and production. He’s also an incredible musician who has donated his time generously to build the “studio” that we call “Cafe Artichoke.” An eight-time Emmy Award winner, he’s spent my career writing, photographing, directing and editing television programs, promos and commercials. Along the way he’s had the privilege to work with some of the best in the business: ABC News, ESPN, NBC News & Sports -- and at some of the top stations in the country including KSDK in St. Louis and KGW here in Portland. Whether working as a cameraman, editor or directing and producing, it has been a diverse, rewarding experience. Hello there, I’m Beth Wood – modern-day troubadour and believer in the power of song. I’ve been writing, performing, recording and touring for most of my life. These adventures have resulted in thousands of live shows, boatloads of wonderful memories and collaborations, and countless weird situations that all add up to my life as a full time musician. I’ve released ten solo CDs, one collaboration project and two books of poetry. Some of Tracey's performance experiences include with the National Ice Dance Theatre of Canada, 2 months touring S.E. Alaska and 2 months touring the Hawaiian Islands with a major cruise ship line, as feature harpist. She has played numerous private functions, for the Provincial Government of Alberta, Canada, Cross Cancer Hospital, University of Alberta, Road Scholar, Coast Plaza and Sheraton Hotels, and here in Portland at McMenamins and Waldorf schools. Tracey began piano and voice lessons at 8 years, followed by guitar and harp. Her first harp teacher, after being self-directed for several years, was Kim Robertson, then there were workshop intensives in Wells, B.C., the World Harp Congress in 2011, Vancouver, Canada, and an Irish music workshop in Donegal in 2018. She also studied several years at the university level on pedal harp. She has performed with Formolo Dance, master Sitarist Patric Marks, Canadian composer Roger Deegan, Canadian fiddler and producer Shannon Johnson, and locally in Portland with Irish style fiddler Erik Killops. Tracy's musical offerings as a teacher are harp fundamentals with a student centered approach that can be applied to most musical styles. She, herself tends towards Renn dance music, Celtic, including from Brittany, light classical and original material, and she was employed at one time to play show tunes on harp. She can teach either by ear or with written music, music theory for harp, and for those inclined, playing harp to sing to. Music samples can be heard at https://traceyrosebrown.bandcamp.com/releases.